On the plains of the 19th century American southwest, the cutting horse emerged as an exceptionally valuable character. As eastern populations skyrocketed, specific demands for Texas rawhide and beef forced brave men into an unsettled, unfenced, and largely unknown region in an attempt to make their fortunes. They arrived there on the backs of horses. And as they carved an industry from the wilds, it was the cutting horse that became the most indispensable tool in collecting and shaping the herds that would move to points north and east. Simply, the cutting horse was the best horse a man could own. As the beef business boomed, the parallel stories of exceptional horses and exceptional humans blossomed on Great Plains. 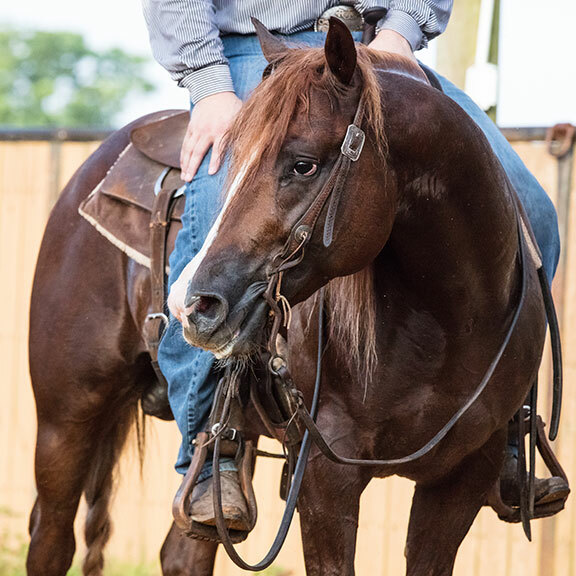 The grit, heart, and values seen in both the horses and families stands as a shining example of not only humanity’s potential, but the awesome potential of special men on special horses. It’s a legacy that must not be forgotten. Mighty Good will go to great lengths to showcase and celebrate the character traits that the exceptional men, women, and horses of the frontier West shared. Themes of freedom, respect, responsibility, value, and determination course through the story of the cutting horse. Men and women who understand this journey will help tell our story both from an academic and experiential perspective. Their study of the American West, beef business, and horse culture through the past two hundred years will shed an uncommon light on this gripping narrative that continues today. Several of the legacy bloodlines and families will be traced to their present activities both on the ranch and in the cutting show pen to demonstrate how vital the skills and values developed on the plains remain. Often overlooked in the narratives of settling the West, The Horse will be our central focus. This fresh approach will use the story of the cutting horse—from pre-Civil War through the modern performer—as the centerpiece to draw in the amazing people and stories that have surrounded horses working cattle in the West for the past two hundred years. At 90 years old, Buster Welch remains one of the last links to a bygone era. He worked herds on the open range and helped bring the sport of cutting to the arena. Perhaps no other man understands the horse in the context of Western history and his functionality better than Welch. The King Ranch and The Four Sixes remain among the original Western ranching empires that have profoundly influenced the cutting horse from their inception until the present day. Their enduring presence has added to the lore of the West—not to mention the bloodlines of the modern day cow horse—in unequalled ways.